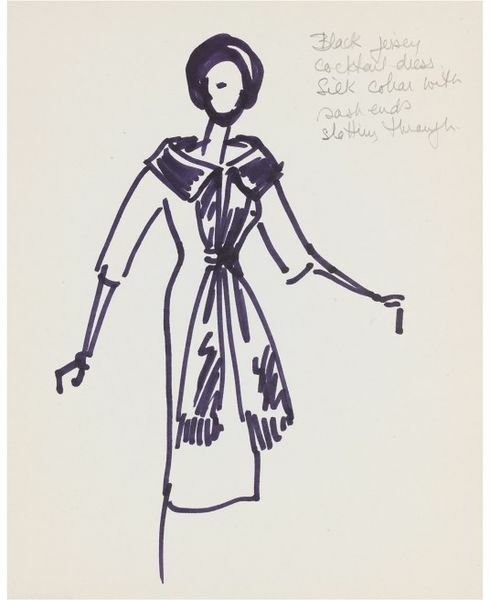 This fashion design shows a woman wearing a black jersey cocktail dress which is an informal but rather elegant dress suitable for late afternoon and evening events designed by Marjorie Field for the haute couture firm Field Rhoades which was registered in the London street directories at 77, South Audley Street, London W1 for the years 1948 to 1949. A square collar with long sash ends slotting through in front is a prominent feature of the dress. At top right, the designer noted, in pencil, the fabrics and colour out of which the dress was intended to be made and special characteristics of the design. 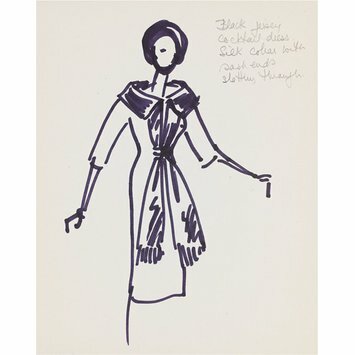 A drawing depicting a woman wearing a black jersey cocktail dress, with a silk collar and sash ends slotting through in front. 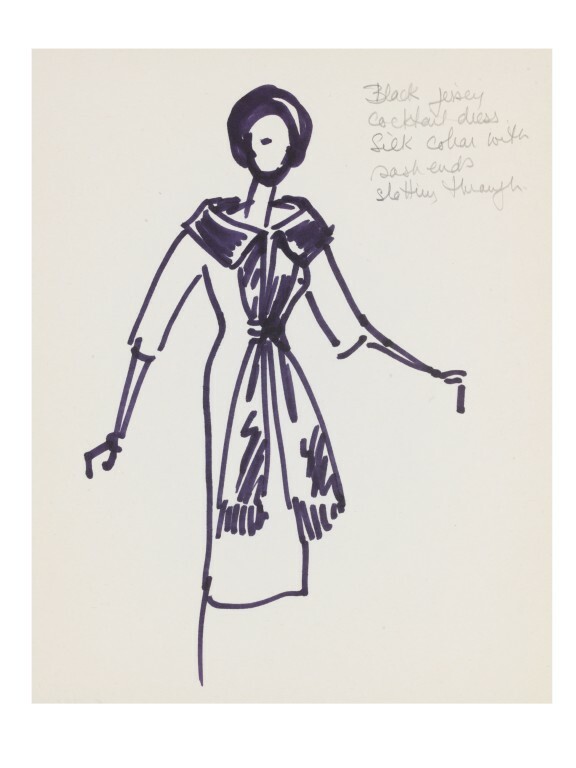 The provenance can be traced back to Gwen Mandley, an artist who was a friend of the designer, Marjorie Field. The haute couture firm Field Rhoades was registered in the London street directories at 77, South Audley Street, London W1 for the years 1948 to 1949.